Both television and radio are providing opportunities to place ads in precise contextual locations to maximize effectiveness. The usual way to purchase broadcast is to buy a Run Of Station schedule or specific programming/dayparts matching the program audience with the brand’s target audience. But recently, there have been even more narrowly specific conceptual targeting options available in broadcast. TIAA CREF uses a song by Lady Antebellum, “I Run To You” as the music for one of the company’s ads. In the recent ABC’s Country Music Association Awards show, the spot appeared immediately after the band preformed the song on national television during the show. Allstate Insurance ran a spot focusing on teen driving in a special episode of “Friday Night Lights” devoted to the same subject. Radio listeners heard ads for AC/DC’s “Black Ice” album sold exclusively at Wal-Mart immediately after an AC/DC song was played. Geico illustrated its “save 15%” brand message on radio by airing 15-second spot after other ads for cars, motorcycles and RVs and by running spots at 15 minutes past the hour. These all represent creative ways to place spots in a context that supports the brand’s message. It is not an easy thing to accomplish. And some media outlets are still resistant to such precise spot targeting. But with media revenues down in a tough economy, more media properties are open to specific contextual targeting. 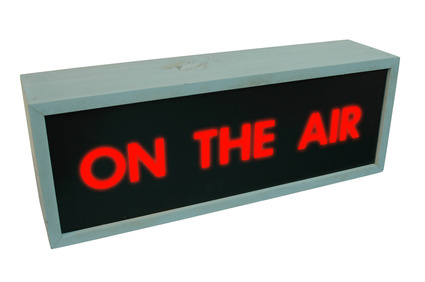 In fact, Clear Channel Radio has introduced a new service that uses contextual placement. “Over the years we’ve really built up proper systems to speak in one voice with programmers and automate these programs for advertisers,” stated Jeff Howard, Clear Channel’s president of radio sales. With new possibilities like the ones cited above, creative media buying can make buys much more effective. ← Hospital Marketing: Which Patients are Using Twitter? How do I Promote My Music as being a person in town. Just a space and time together to see what unfolded.